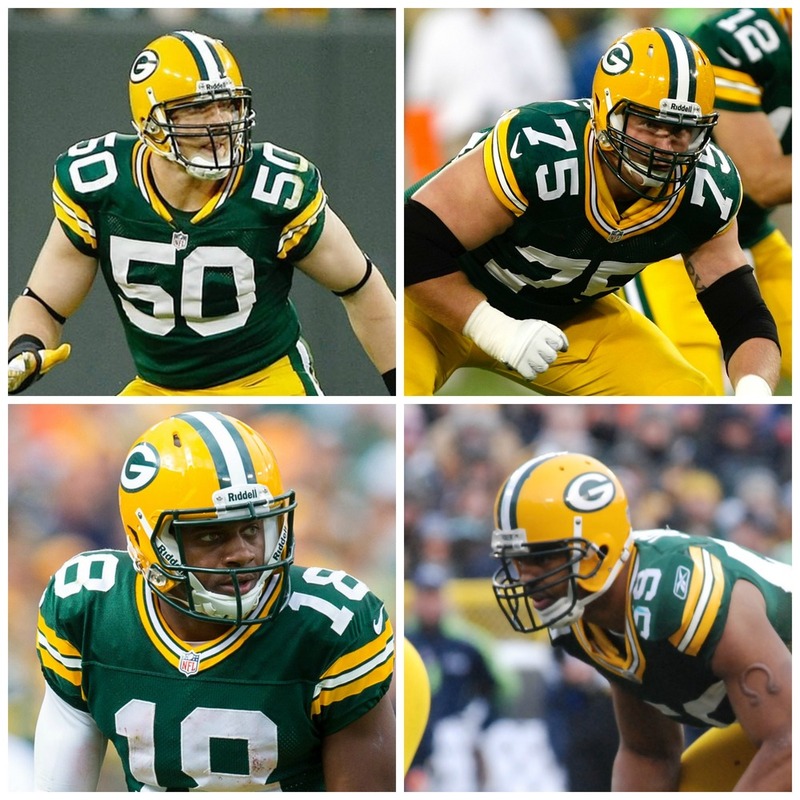 The four biggest names of the Packers offseason so far could all be out of Green Bay when it's all said and done. In the month since the Super Bowl, things have largely been quiet in Green Bay. Sure, there was that whole "we should totally have that Brett Favre ceremony at Lambeau Field" thing, but that wasn't a story at all outside Wisconsin and was barely a story outside the eastern chunk of the state. However, plenty of little things have developed over the past month or so, and since we've neglected to mention any of them so far, allow me to give you an episodic recap, as well as a few predictions. 1) A.J. Hawk probably should have been gone two years ago, but better late than never. Everybody knows A.J. Hawk should have been cut years ago, but ever since Desmond Bishop shredded his hamstring, there was never a viable replacement on the roster. This roster move is only sad if you were convinced that Hawk was going to be something he never became and was never going to be. Hawk's selection as the fifth pick remains a fascinating story to me, but it was time for him to go. If A.J. Hawk should have been gone two years ago, Brad Jones should have been gone with him. Ever since Pro Football Focus named him a "Secret Superstar" (an article I refuse to link to any more because I'm not going to give pageviews to a bad prediction unless it's mine), he's been an unmitigated disaster. How many plays did he completely screw up this season through silly penalties or missed assignments or airballed tackles? I don't know, but it feels like it was a lot. This was a long time coming. Remember two years ago when seemingly every mock draft under the sun had the Packers picking Tyler Eifert? That trend seems to be repeating this year. I'm seeing Williams pop up a lot on mock drafts, which is surprising to me because the Packers have such serious needs at other positions. I know, I know..."best available player." What determines best, though? Does talent determine what's best or does need determine what you think is best? Either way, I have a tough time seeing the Packers picking a tight end, but stranger things have happened. I know inside linebacker is probably a greater need, and if Randall Cobb leaves (more on that in a second) wide receiver will be a position of interest too, but don't sleep on tackle either. Even if Bryan Bulaga returns, are you really comfortable with J.C. Tretter and post-ACL surgery Don Barclay as the top backups to David Bakhtiari and Bulaga? It's probably not fair to cherry pick one play, but I can't get the image of Tretter getting toasted by Mario Williams to end the game that could have locked up home field advantage for the Packers. I would not mind at all if Ted Thompson went tackle early. Over the past few days, I've been trying to come to terms with the increasingly real possibility that Randall Cobb, perhaps my favorite Packers player, will not be in a Green Bay uniform next season. I understand all the reasons for not keeping him, but I think he's still an ascending player and would probably be worth money at least comparable to what Jordy Nelson is getting. He's the most versatile offensive threat that the Packers have had since Ahman Green, a guy who put up numbers that would have won him an MVP but for the fact that Priest Holmes existed. I think the Packers are still learning what he's capable of being, and it would be shameful to see a 25 year old with such enormous upside leave. He could have five to seven more Pro Bowl-caliber seasons left.